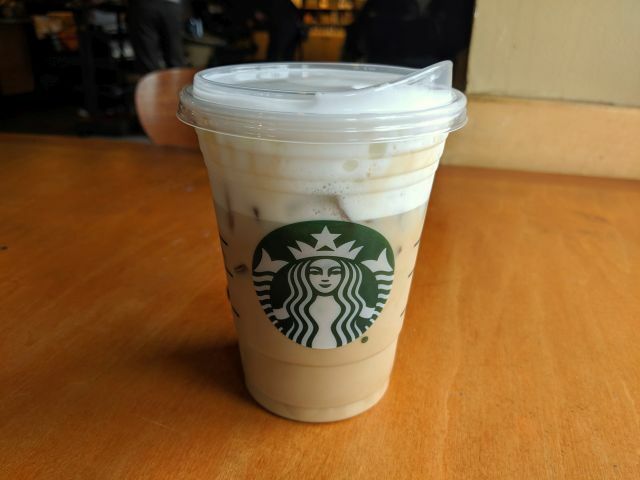 Starbucks' Cold Foam Iced Cappuccino features espresso shots poured over ice and then splashed with nonfat milk and topped with cold foam (nonfat milk blended until it's frothy). A 16-oz Grande was $4.75. Unless you typically drink nonfat milk, the Cold Foam Iced Cappuccino isn't all that creamy given the lack of fat. Still, it's creamy enough to mute the harsher bitter notes of Starbucks' espresso. Unlike steamed milk foam, there isn't a sweetness to it due to the lack of heat. What the cold foam contributes to the drink is a fairly even foaminess that is highlighted by a straw-less lid that ensures that you can get a combination of coffee and foam in every sip. When it comes down to it, Starbucks Cold Foam Iced Cappuccino delivers the frothy texture of a traditional cappuccino with the mellow flavor of espresso and milk. It's a bit boring without the sweetness and richness of milkfat though. 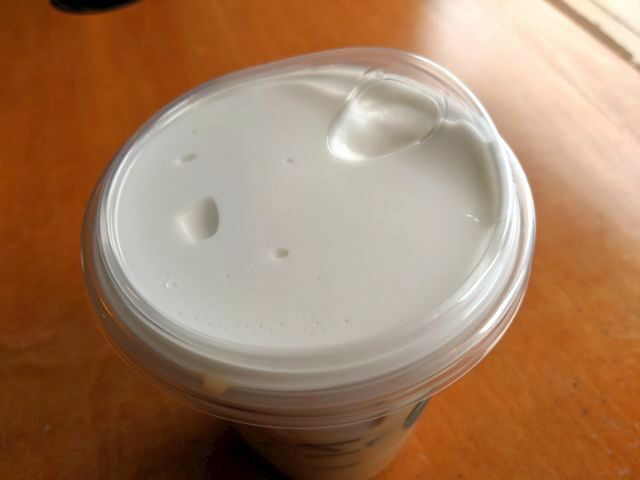 The new lid, with its raised lip and curved opening, was probably the most interesting part of the beverage.